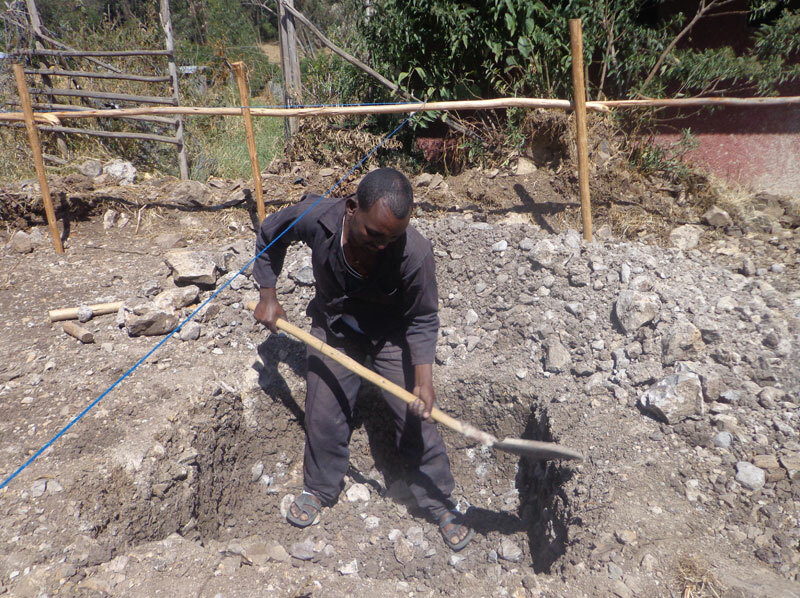 Ground was broken this week for the new kitchen and dining hall at Bright Hope School in Ethiopia. The kitchen will allow for the current daily meal preparation, for over 200 hungry students, to be indoors as opposed to using the open fire pit in the two-sided corrugated steel cooking shack. 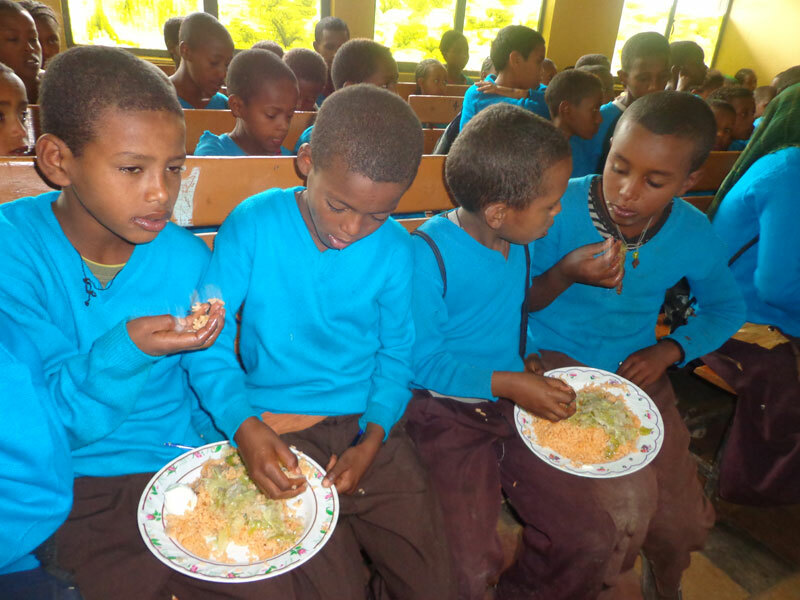 And once the building is completed, an additional 250-300 students can be added to the children who currently receive the daily hot lunches. Fresh eggs and vegetables harvested from the school’s farm are frequently a part of the lunch menu. 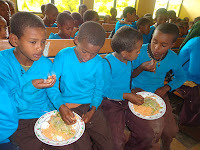 Other foods for the meals and supplies for the school are purchased with the sale of the large number of vegetables and eggs produced on the school’s grounds. The initial foundation work began by clearing the land next to classroom buildings. Rebar and other construction materials purchased by Children’s Hope will be assembled this coming week in advance of the pouring of the concrete.